Tyrell Jacobs (left) and Timothy Jacobs (right) were taken into custody Tuesday night in Philadelphia. The duo were wanted in connection to a murder in West Chester, April 10. 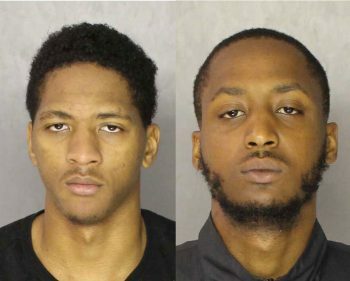 Tyrell Jacobs and Timothy “TJ” Jacobs, brothers who were wanted for a homicide in the Star Social Club in West Chester on April 10, were captured last night in Philadelphia. Tyrell and Timothy Jacobs allegedly gunned down Eric Brown on April 10 after an argument inside the Star Social Club in West Chester. Authorities said that the murder was captured on surveillance cameras. After charges were filed, the brothers fled. They were almost captured on multiple occasions over the last couple of days as the United States Marshals Service for the Eastern District of Pennsylvania pursued them, working with the West Chester Police Department and Chester County Detectives. At approximately 6:00 p.m. last night, the Marshals Fugitive Task Force captured both brothers at 40 N. Robinson St. in West Philadelphia. TJ Jacobs reportedly had a gun on him when he was apprehended. County law enforcement expressed thanks to federal officials who helped apprehend the duo. 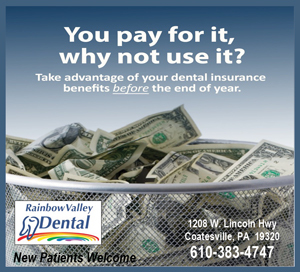 The defendants will be arraigned in Chester County today. Because they are charged with first degree murder, they are not eligible for bail. Anybody with any further information should contact West Chester Detective Bob Kuehn at (610) 696-2700 or Chester County Detective Jim Ciliberto at (610) 344-6866.